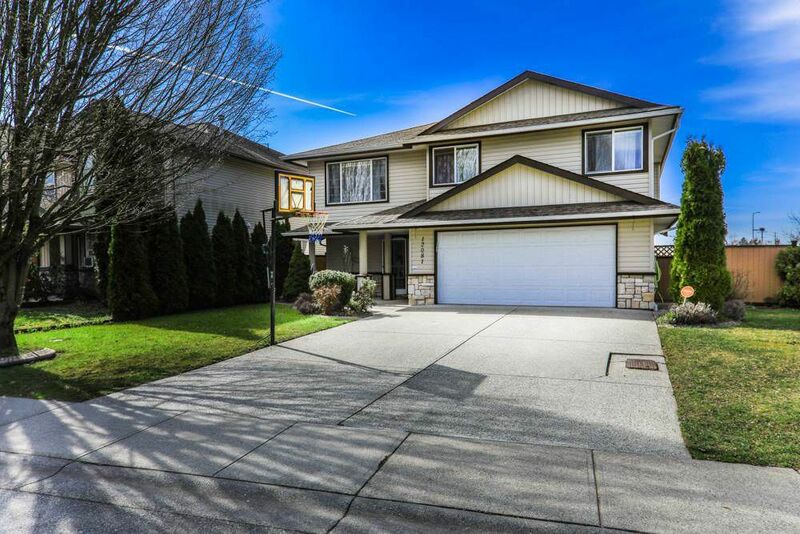 Fantastic west Maple Ridge family Home on an 8656 sq ft lot. This lovingly cared for spacious home features 6 bedrooms plus den and 3 full baths. Upstairs, the kitchen has been updated with Stainless Steel built-in oven/micro, range top, beautiful tile floors and is open to the cozy family room. The covered deck off the kitchen is perfect for all season bbq's and watching the kids play in the backyard. Large master bedroom has a 4 pc en-suite and walk-in closet. Lower level offers 2 bedroom in-law suite that could also become a 3 bedroom if needed - excellent layout. Heating is provided by two gas fireplaces and radiant heat. Conveniently located close to shopping, dining, all levels of schools (incl private), transit and the West Coast Express. Call today!